A facility dedicated to promoting closer cultural links between school pupils in Moray and their counterparts in China was formally opened today. The Confucius Classroom is part of a growing network of hubs – currently standing at more than 20 - being set up across Scotland to help promote Chinese language and culture in schools. 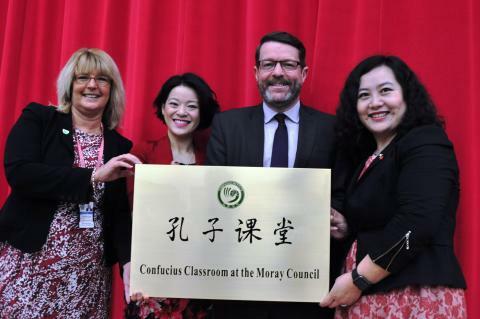 The Moray hub is based at Elgin Academy and will be resourced for children and young people from across the area to study all aspects of Chinese life. It will also serve as a base for two teachers from China who will work closely with a total of 14 local secondary and primary schools during the current session. The teaching posts are funded by Scotland’s National Centre for Languages at Strathclyde University where the Confucius Institute for Scotland’s Schools is based. 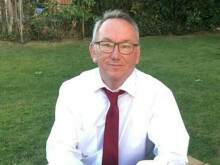 Opportunities will also exist for teachers from Moray schools to undertake exchange visits to China, while pupils will also be able to take part inlanguage immersion courses in Chinese schools. Today’s launch was attended by Fan Lin, depute director of the Confucius Institute for Scotland’s Schools, who has been closely involved in the expansion of the Confucius Classroom hubs network. 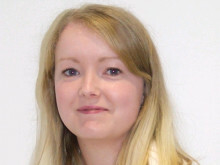 Moray Council’s head of schools and curriculum development, Vivienne Cross, said there were already many local businesses which had put Moray on the international map. “It is only natural therefore that we should prepare young people to take an active part in our global economy. The learning of Mandarin and the experience of Chinese culture are a significant step in this direction. Mrs Cross said the Confucius Classroom also fitted in perfectly with the 1+2 national languages policy which entitles children to learn a foreign language from as early as primary one. The launch also included performances and presentations in Mandarin by pupils from Aberlour Nursery, Mortlach Primary, New Elgin Primary, Forres Academy, Elgin High and Keith Grammar.